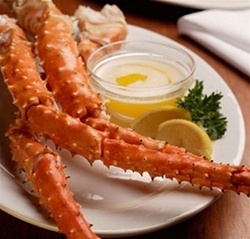 5 LB of Fresh Frozen at Sea Colossal Red Alaskan King Crab Legs. In short, AMAZING and HUGE!!!! !